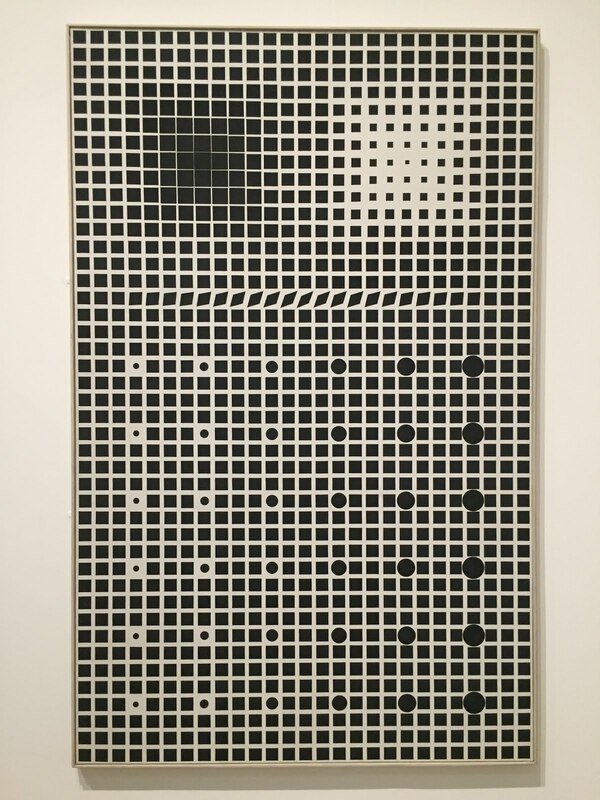 Considered one of the leaders of the op art movement Vasarely started experimenting in the 1930s with perspectives, textural effects, shadows and light to render optical illusions. Supernovae is a typical example of Optical Art, realised just using black and white and geometrical shapes to obtain the illusion of a tridimensional effect on the canvas. 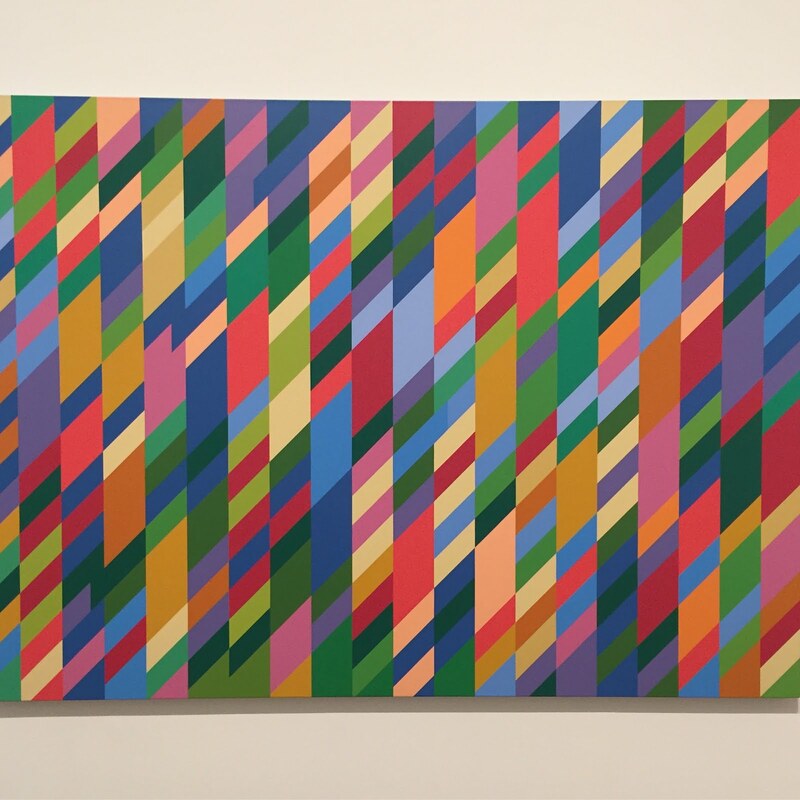 For many years Riley painted just using black and white, while in later years of her career she started using colours and this painting exhibited at Tate Modern, Nataraja, is a marvellous rendition of the concepts of opart in combination with a myriad of colours, inspired by Indian traditional art.